All in all, I’m impressed with how the bike is holding up, and with how it performs on city streets — especially considering the low price. Biking to work has had a ton of benefits, especially for me. The main reason I started was that, well, I hate going to the gym. I like moving around, and getting exercise, but I find doing cardio at the gym about as fun as getting teeth pulled, and I’m not a fan of running. I either need to find a team sport to join — and I often find it hard to commit the regular time to it — or I need to rely on incidental exercise. Biking to work gets me 45 minutes of mild-to-moderate cardio each way, during time I’d otherwise be spending on the subway. When Brooklyn Bicycle approached us earlier this year, interested in being featured as an Insider Picks choice, we hesitated. 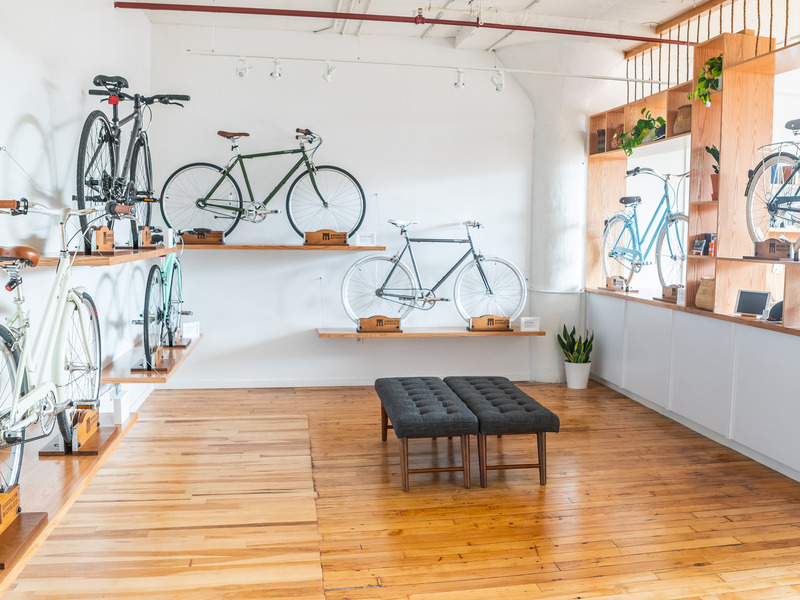 The brand seemed interesting, it offered sharp looking bikes, and the prices were competitive compared with what we found in local bike shops, but still — it’s hard to judge quality based on just their company’s website. Brooklyn Bicycle offered us a bike to test out, to see if it held up to our standards, and we decided to take them up on it. I used the Bike Finder tool on the company’s site, and came up with a model — the Bedford 3 Speed ($450). I figured out the right size, and instead of shipping it to a third-party store, arranged to pick it up at the company’s new Brooklyn showroom so that I could have a look around. 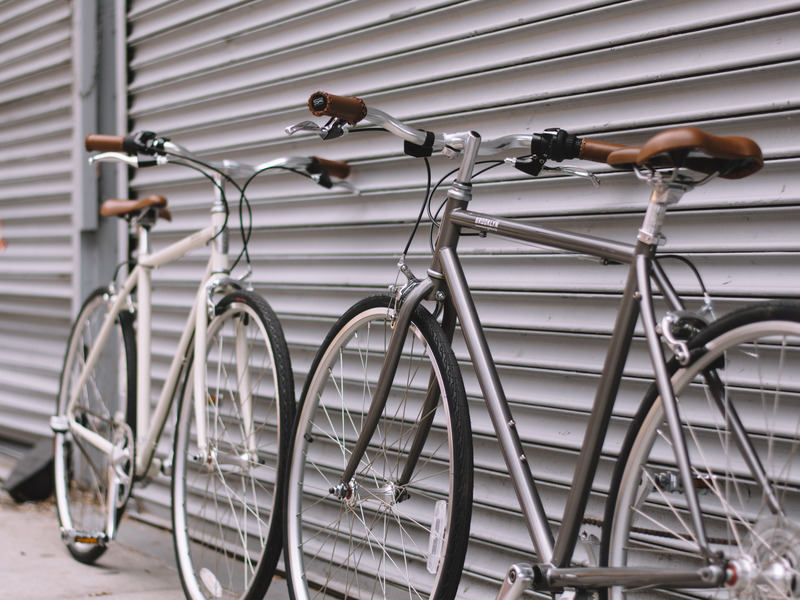 Generally, I prefer sportier bikes to the city-style ones that Brooklyn makes, so it took me a couple of miles to get comfortable — I was used to riding my hybrid. Once I did, I decided that in the interest of testing it well, I was going to have some fun; I decided to ride hard and beat it up. I took every pothole and every bump I could find, rode on roads desperately in need of paving, and left it outside my building in the rain — and there’s been plenty of that this July. Aesthetically, it’s a great look, with a shiny paint job and stylish vegan leather binding on the handlebars and seat. The steel frame is fairly lightweight — more so than my hybrid bike — but is heavy enough to soften the feeling of bumps. The gears are internal, protecting them from the elements. Ultimately, the bike reminds me of a Citibike — a New York City docked bikeshare — with a diamond frame instead of a walkthrough, a smoother ride, and about 1,000 pounds lighter. Over the past few weeks, it’s held up well, despite my abuse. Based on the reviews I’ve found, it looks like the bikes hold up for much longer than that — I’m looking forward to finding that out for myself — and it looks like my experience with the Bedford is representative of what other people have found with other models.